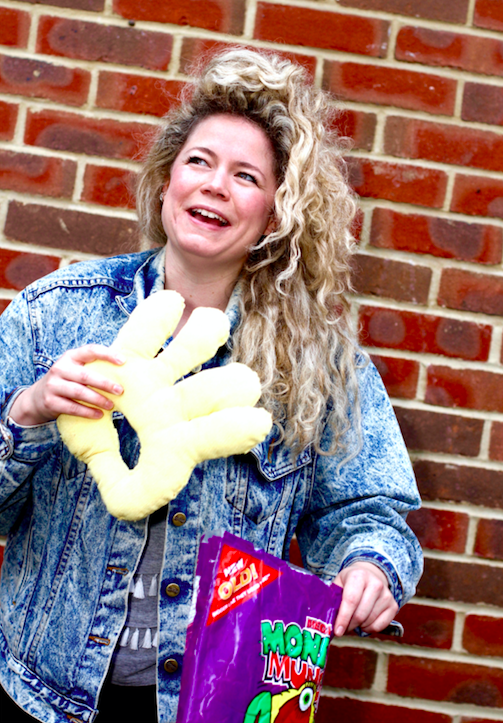 Louise Reay’s latest show, Hard Mode, is set to be a comedy experience unlike any other. Reay examines issues such as censorship and surveillance, giving her audiences first hand experience of an authoritarian regime through her unique and interactive style of comedy. Louise will be performing at The Stand throughout August. I love the rhythm of it – doing a show every day, eating a KFC every day, what’s not to love? Also seeing so many excellent shows. My first show was all in Chinese – but for people who didn’t speak any Chinese at all. Only 7% of communication is verbal; it was an experiment in the other 93%. Yes, I only let very handsome and generous philanthropists seeking patronage opportunities come to my shows… wait, guys, guys??? Frankly, I’m afraid I’m about to have it… I’ll be living in a large shared house this year with about ten comics, none of whom I know very well… uh oh. Let’s hope they all remember to take their meds, haha! Let’s hope none of them read this! Heh heh. I think I’m probably about to have it also… I will be going on tour to South Africa in a couple of week’s time… I really have no idea if they’ll get my comedy. Have they got Monster Munch and Tinder there? There is a show called Undercover Refugee by Karen Houge and David Tann. It was just nominated for an award at Brighton Fringe and looks incredible. A poker face, a piece of cake, a poke in the eye, a wet fish on a marble slab? I’m so excited to be in the Stand for the first time, I’m hoping not to embarrass myself too much in front of the heroic comics performing there. I’ve got an irrational preoccupation with the little placards dedicating park benches to the deceased. Probably this.